Driving is like riding a bike–once you know how, you should be good to go for the rest of your driving life. But sometimes, just like it’s a bit wobbly for riders to get going on a bike after a rest, drivers might need a moment to find their balance when sitting behind the wheel of a new or unfamiliar car. First, get comfortable with the controls, advise the experts at DriveLikeAGirl.com–locate the hazard lights, figure out how to use the wipers and the lights, and orient the gas tank release lever and check what side of the car should face the pump. Next, adjust things to make the car feel more suited to you, such as the side and rearview mirrors, the driver’s seat, and the steering wheel. The experts at CarInsuranceQuote.net also recommend that drivers take enough time to feel fully comfortable with the vehicle and the adjustments before venturing into traffic. Stopping is just as important as accelerating, and the Autos.com editors recommend drivers take some time to adjust to and learn the brakes of a car they don’t know by increasing the amount of space between their car and the vehicle in front of them; add more cushion time for stops and slowdowns; get familiar with the specific braking conditions of the vehicle; and check the brake system for any issues. 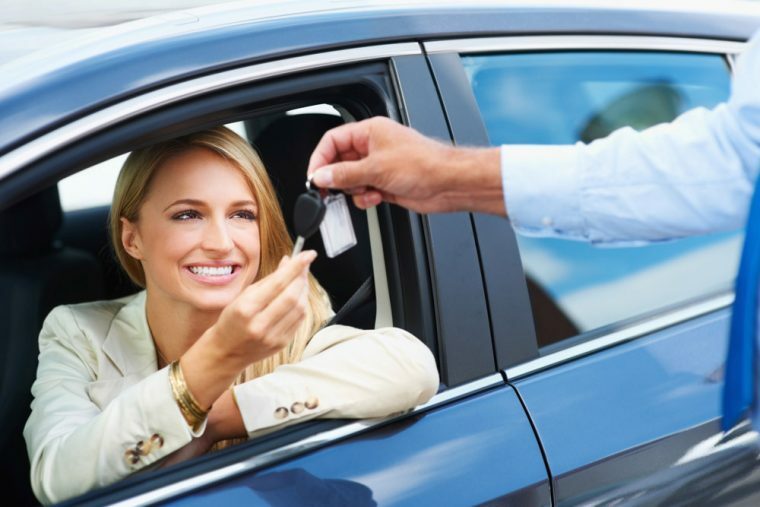 In addition, if you are driving a rental car or purchasing a new vehicle, or driving a car that belongs to a family member or friend, make sure insurance covers that ride, says the experts at DriveLikeAGirl.com.